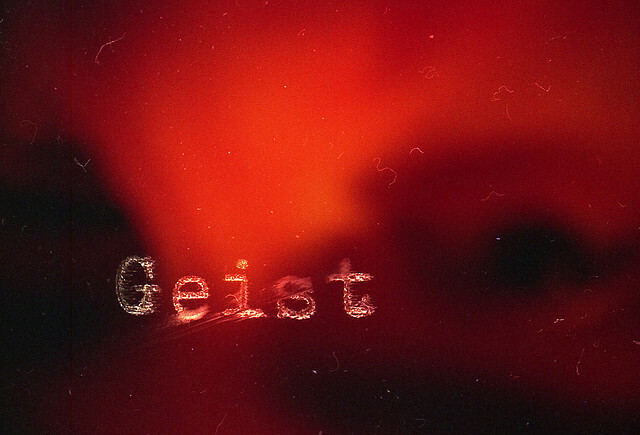 It was created by Carsten Schmitt by typing on a film negative. Read more here. In other news from around the typosphere, 96-year-old repairman Manson Whitlock passed away recently after a brief illness. He fixed typewriters for over 80 years. 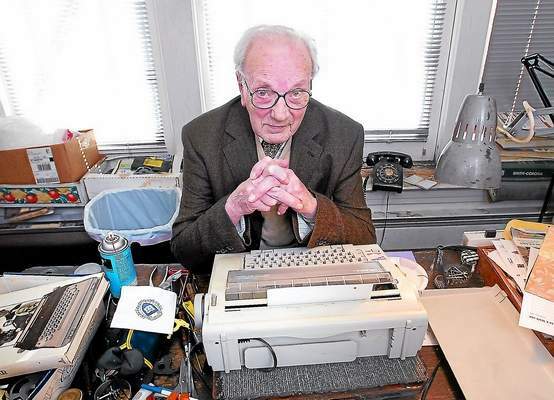 This modest but determined man earned himself a place in typewriter history and was honored with obituaries in the Washington Post and New York Times as well as the local New Haven Register. Thank you, Mr. Whitlock. Rest in peace. I saw him in the documentary "Typewriters in the 21st Century" on Hulu. His departure is a irreplaceable loss to the typewriter revolution. I hope, there are many people, young and old, willing to fill the void left behind. Film and typewriters....... My two favorite things! I will have to try this myself. First of all thanks to the admins for sharing my story, even though it is followed by such sad news. Luckily, there is a great typewriter repairwoman in my area in southwestern Germany. She runs a bsuiness for fixing office machines (photocopiers and such) as her main income, but as she leanred the trade from her granddad she can fix historic typewriters. She fixed up my "Wanderer Continental" and is awesome, friendly and great to have a geek-out about typewriters. @Bruce Varner: I would love to see your results. Please share them in the comments on my blog or drop me a message! Whoops didnt finish my post... very cool Carsten, and rest in peace, Manson. There is a special place in heaven for typewriter repairpersons.